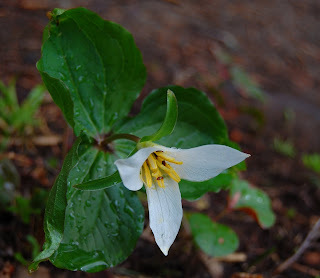 This trillium was adjacent to the path along Rattlesnake Ridge. It's probably a Trillium ovatum, as it's in the right kind of environment (under fir and hemlock) within the range of that species. Trillium seeds are spread by ants!